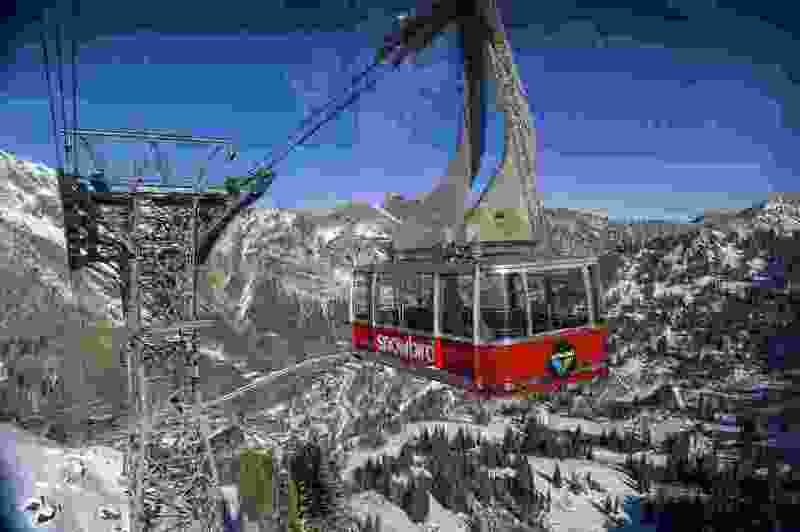 (Leah Hogsten | The Salt Lake Tribune) Snowbird resort, Nov. 12, 2018. Utah is home to three of the top six ski resorts in America, according to the TurnKey Vacation Rentals' 2018 ski report. Snowbird is No. 3; Park City is No. 4; and Powder Mountain is No. 6 in the ranking of 259 ski resorts across America. All three Utah resorts rank higher than anything in neighboring Colorado, which also has three in the top 10 — Breckenridge at No. 7; Vail at No. 8; and Aspen/Snowmass at No. 10. TurnKey Vacation Rentals came up with its rankings based on average ticket price, total number of trails and lifts, vertical drop, length of season, average snowfall, and overall search volume for resorts with more than 15 trails. California's Squaw Valley topped the list. Further down, Alta is No. 23; Snowbasin is No. 33; Solitude is No. 43; Deer Valley is No. 47; Brian Head is No. 51; Brighton is No. 59; Beaver Mountain is No. 87; Eagle Point is No. 90; and Sundance is No. 102. It's not all good news for the Utah, however. According to Turnkey, the state has the second-highest average lift ticket price — $89.71, which is 24 percent higher than the national average of $68.11. But Utah's average price is still 20 percent less than Colorado's — $111.86.